This Friday, 8PM at Bay Bridge Brewing! Ray Easter! Ray Easter has performed in cities across the country from New York to Los Angeles, bringing his smart, witty comedy to bars, colleges, and clubs along the way. His relatable, accessible comedy appeals to a wide array of audiences providing him with consistent on-stage success. Ray will also be featured on season 2 of Laugh After Dark on Amazon Prime. We’ll also have Isak Allen with Jeremy Scippio, Diya Basrai, Just Ericson and Al Gavi! Next story Feb 21st to 23rd on Comedy Heights! Dave Bressoud performs in three different shows! Previous story February 15th and 16th on Comedy Heights! 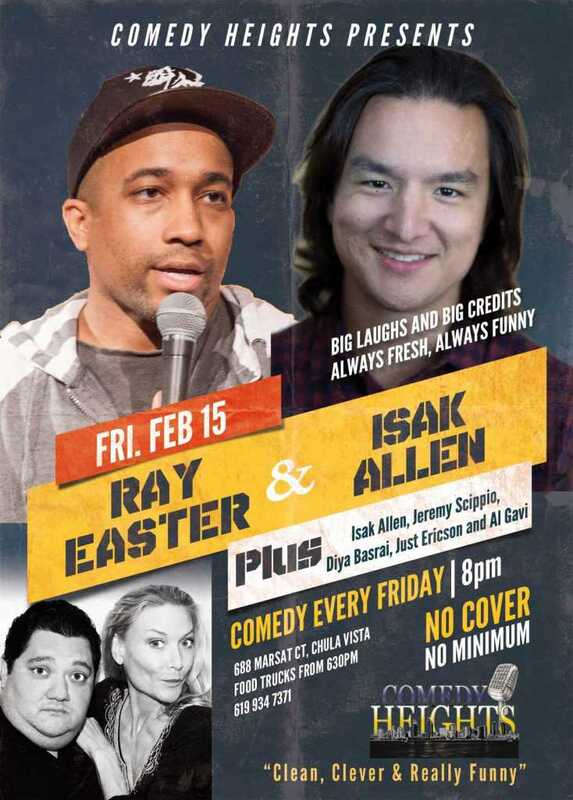 Ray Easter and Isak Allen!